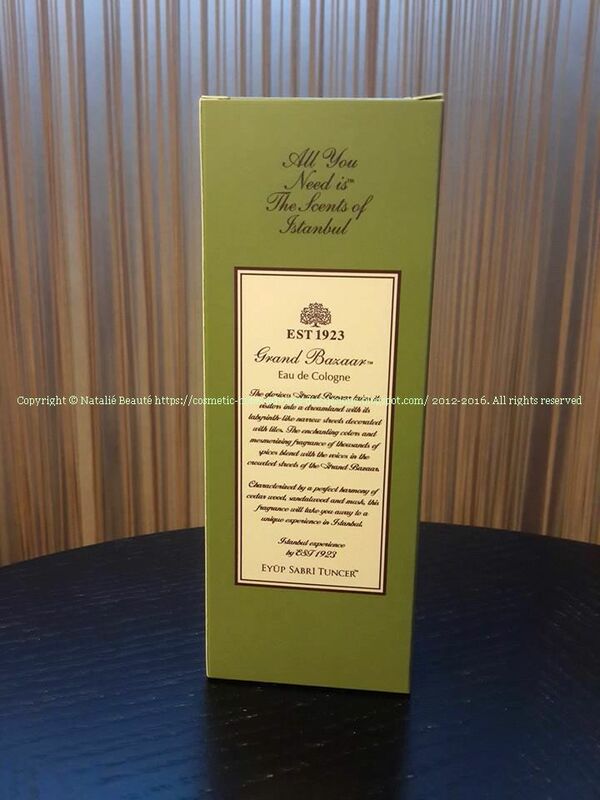 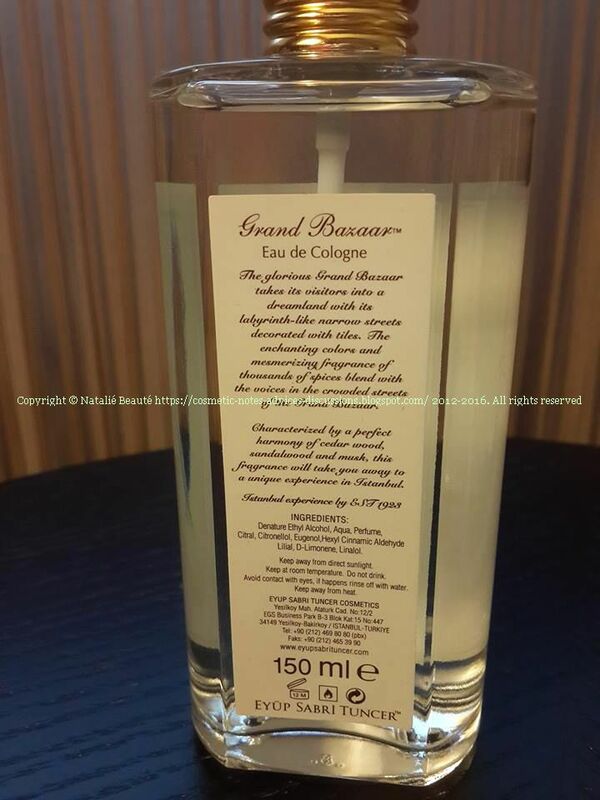 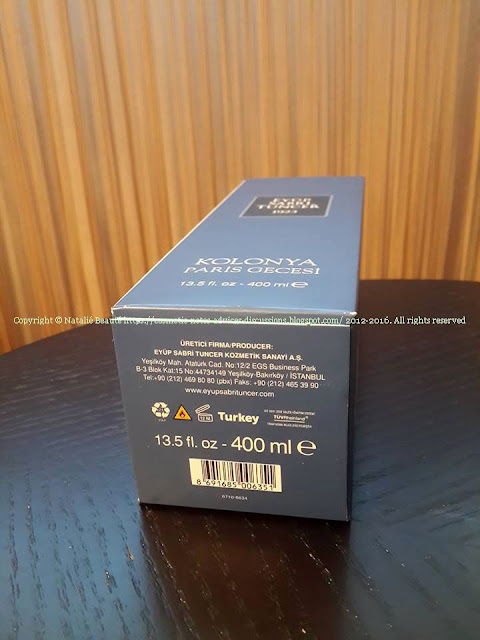 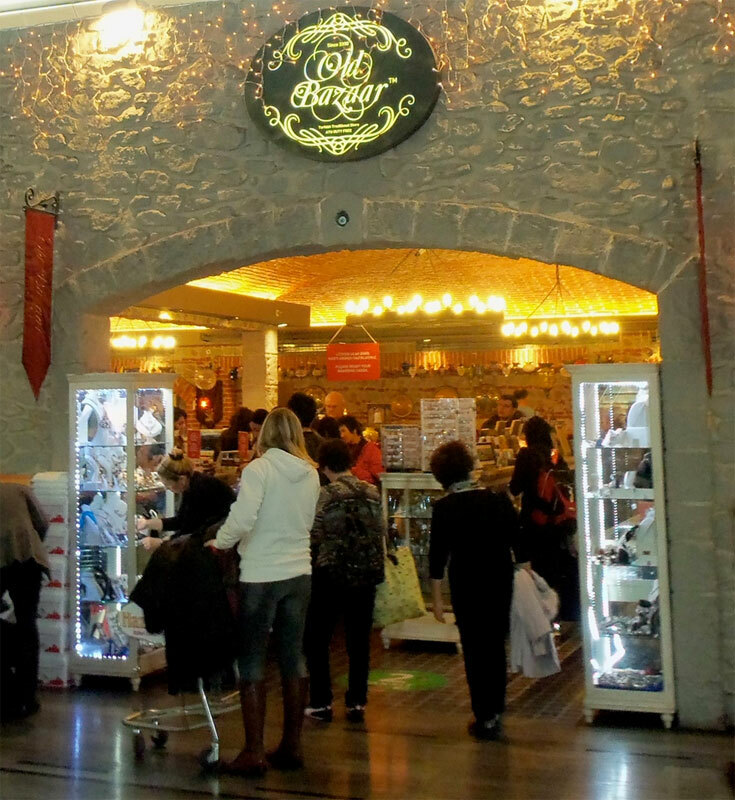 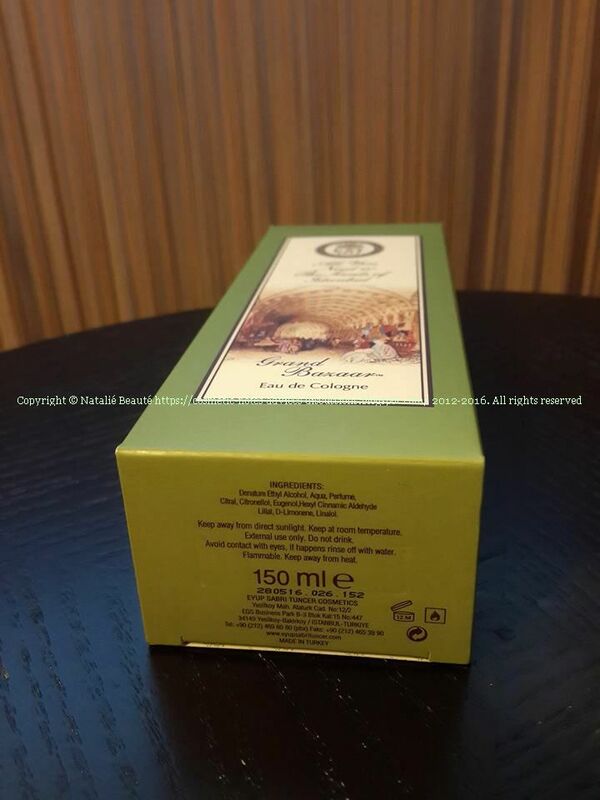 If you are about to visit Turkey and you want to buy souvenir - something significant, as memory from your holiday, one of the possibilities I can advise you is - Eau de Cologne from EYUP SABRI TUNCER. EYUP SABRI TUNCER as marka, was established in 1923. 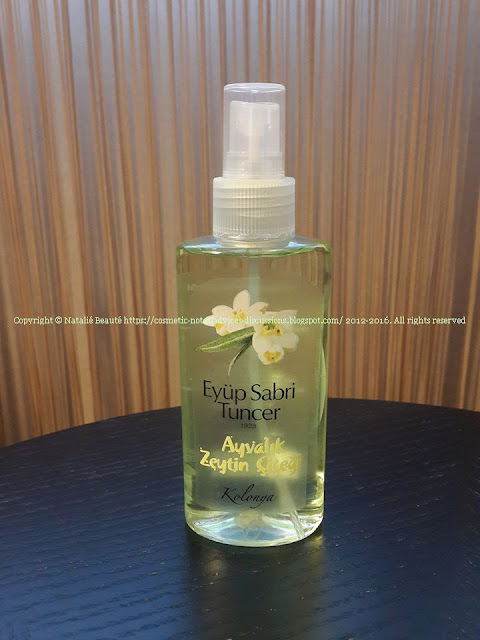 TUNCER produces and distribute the Eau de Colognes, through catalogues, offering promotions and coupons, sending the purchased products, through mailbox and even delivering to the door. 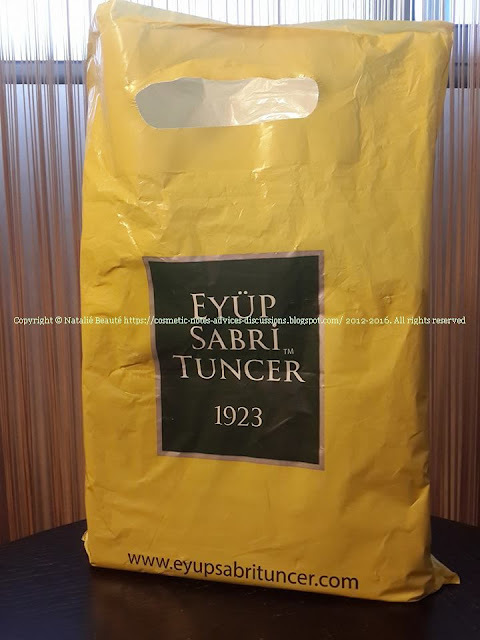 In 1950, Eyup Sabri Tuncer' sons, are handling the business and continuing to produce, and enlarge the idea with innovations. 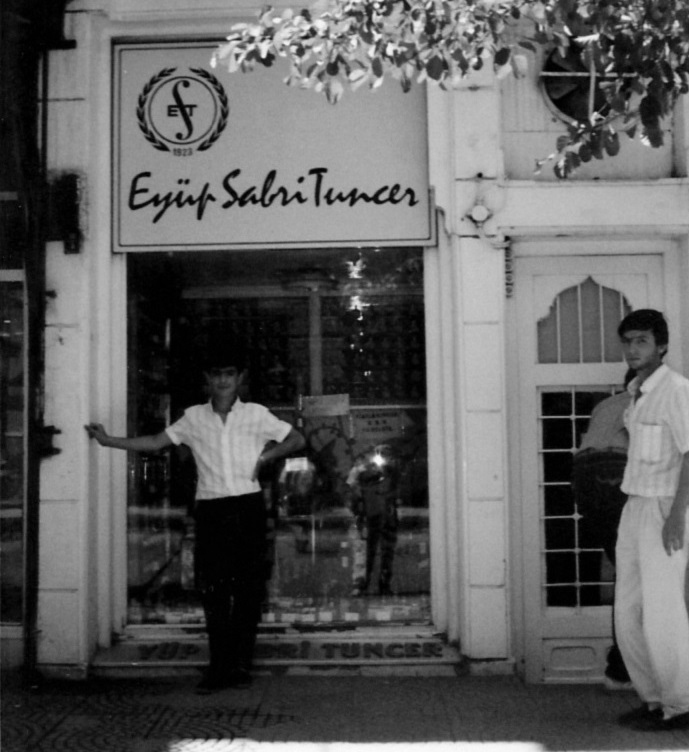 In 60's, Sabahattin Tuncer studies abroad and this was major step in the development of their creations. 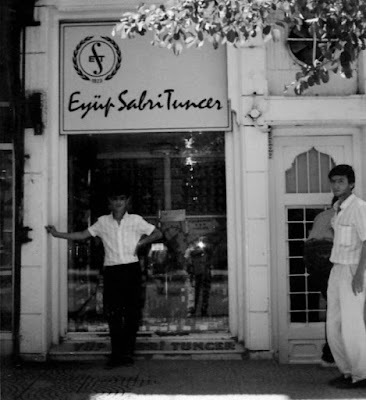 (During that time 1961 - the company continued its existence as Eyup Sabri Tuncer and Sons Partnership Company.) 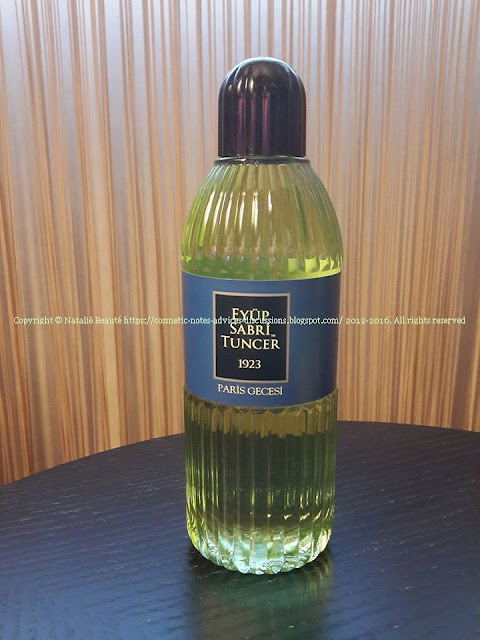 He was mastering the essential production process. 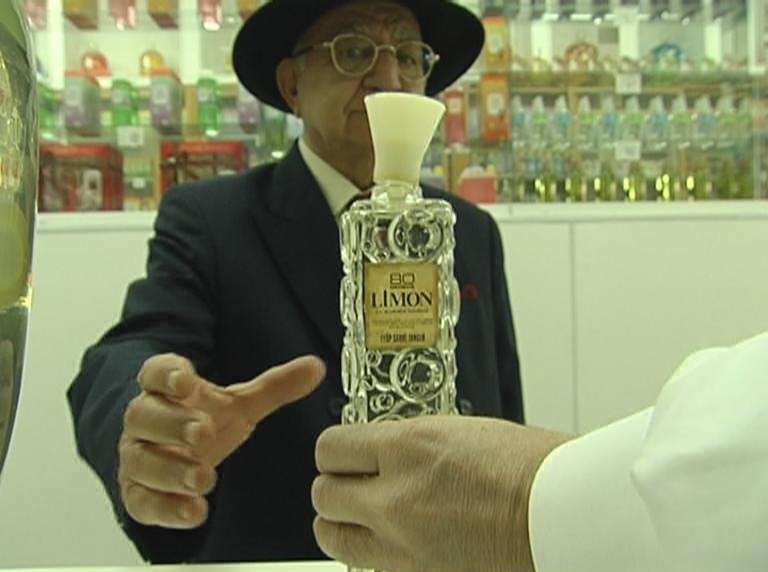 In 1967, coming back to Turkey, he developed his own unique Lemon Eau de Cologne formula. 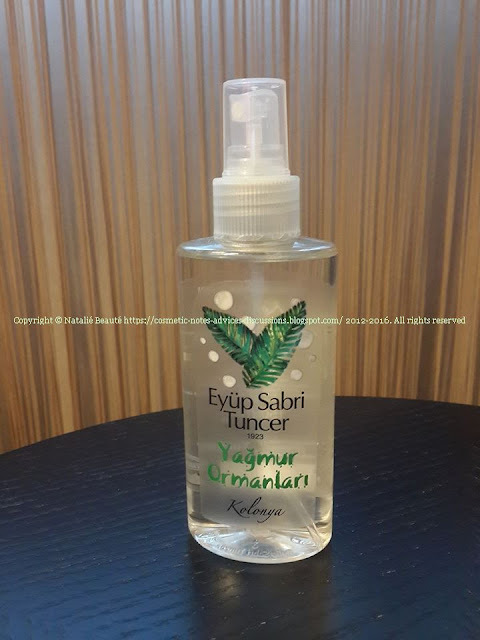 This made the company the first in Turkey, which had developed its own formula with raw materials, of Eau de Cologne in the whole country. 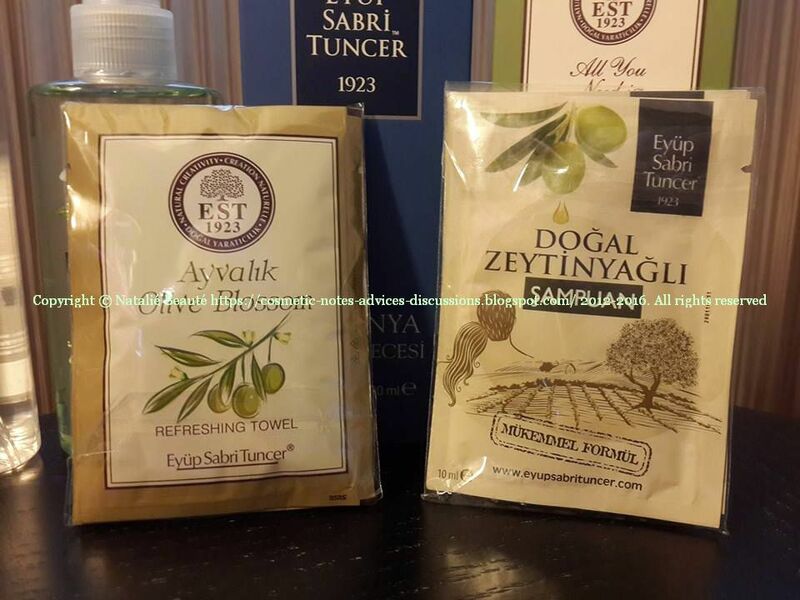 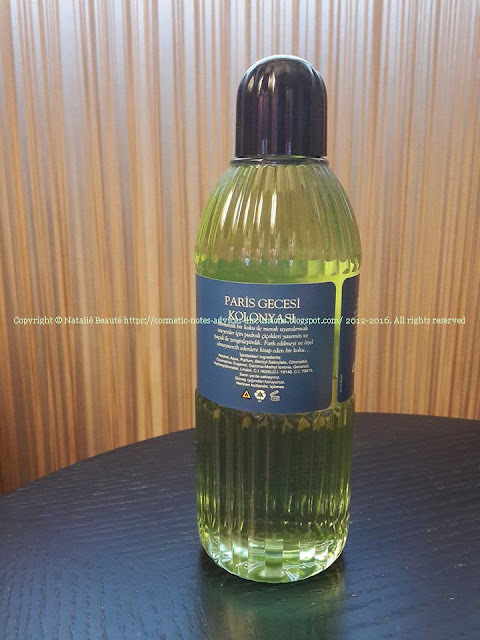 The essential rule of the brand is the usage of pure and high quality oils - raw materials from Turkey, but also - importing pure natural oils from abroad. In the next decades, the company grows more and enlarged its productions, but also territories and nowaday, it's famous and exports production in many countries all over the world. 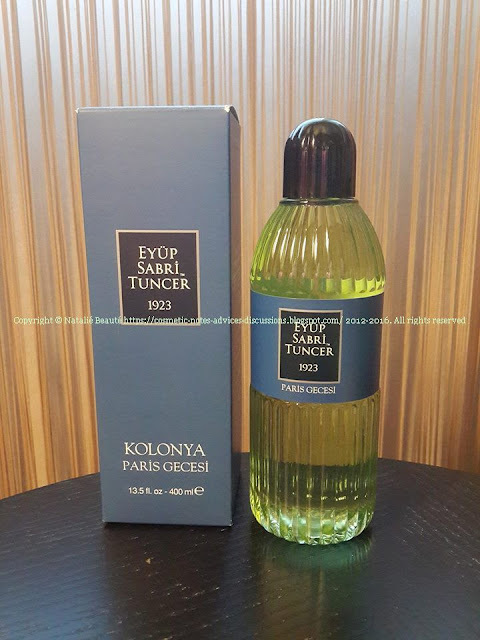 So, if you are perfume lover and you want to get in touch with historical moment of the continuing of the development of the art of making perfumery/eau de colognes, and you want such souvenir from Turkey - you definitely must visit one of EYUP SABRI TUNCER shops and choice your dreamed scent. 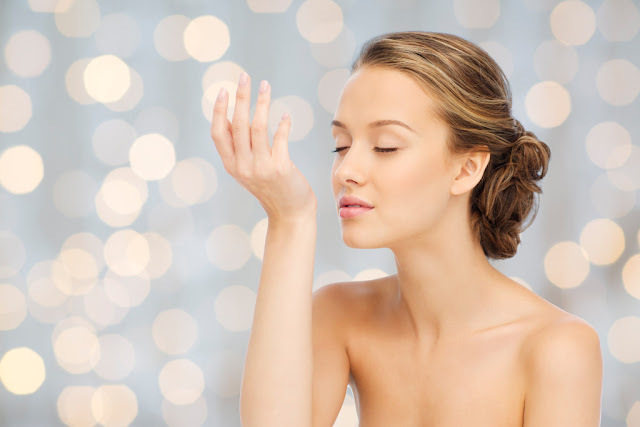 Believe me, they will surprise you in very positive way! 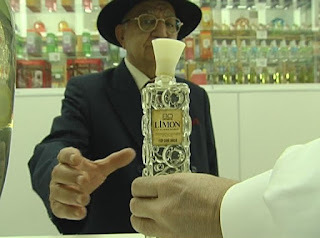 As an appreciator of the art of creating and manufacturing perfume and different type of concentrations of scents and fragrances, I got lost in their small shop, which was the same time full of many and different scents! 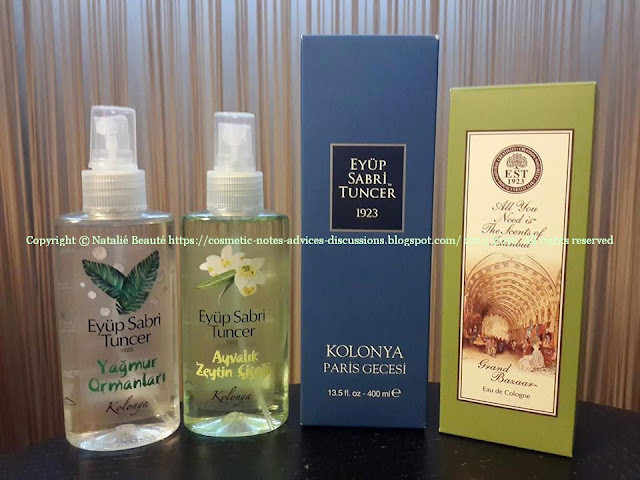 When I spotted the brand shop, I instantly rushed in, to search for my favorite Eau de cologne, but I found many more and different, so I finally got 4 different, plus set of wet scented napkins and Shampoo samples. GRAND BAZAAR - EDC FROM THE LINE "THE SCENTS OF ISTANBUL"
EDC, 150 ml, glass spray bottle. 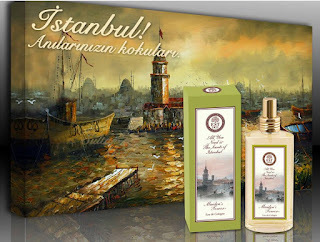 Thematic scent from "The Scents of Istanbul" collection (collection, which includes many many different EDC compositions). 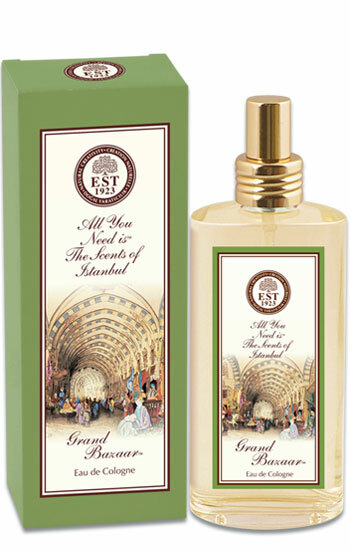 Leading notes are Cedarwood, Sandalwood, Musk. Together, these notes are creating soft and harmonious balanced scent, which wraps you in oriental veil of fragranced trace, under which emerges some delicate sweetness of Orange Blossoms. Not very long lasting, but very pleasant. It's very suitable, for the hottest weather conditions (it won't bother you - delicate and sophisticated scent). 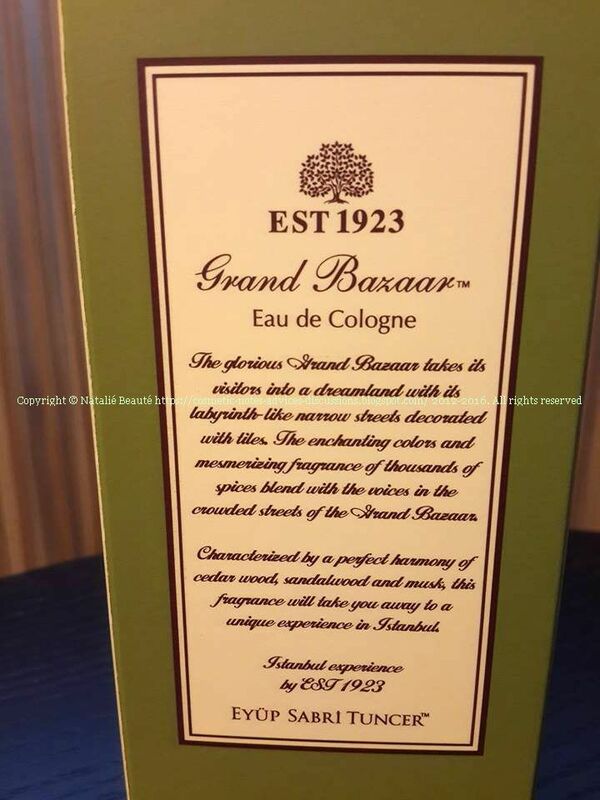 It's not long lasting, but you can refresh it whenever you need - so, again and again, you will enjoy the unique scent of GRAND BAZAAR. 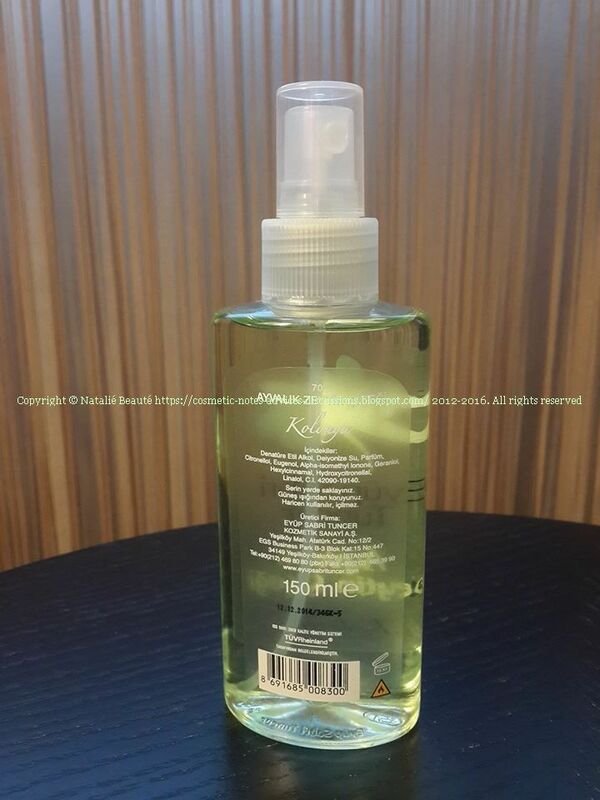 EDC, 400 ml (available in different amounts), plastic bottle. It belongs to the major line of Eau De Colognes. 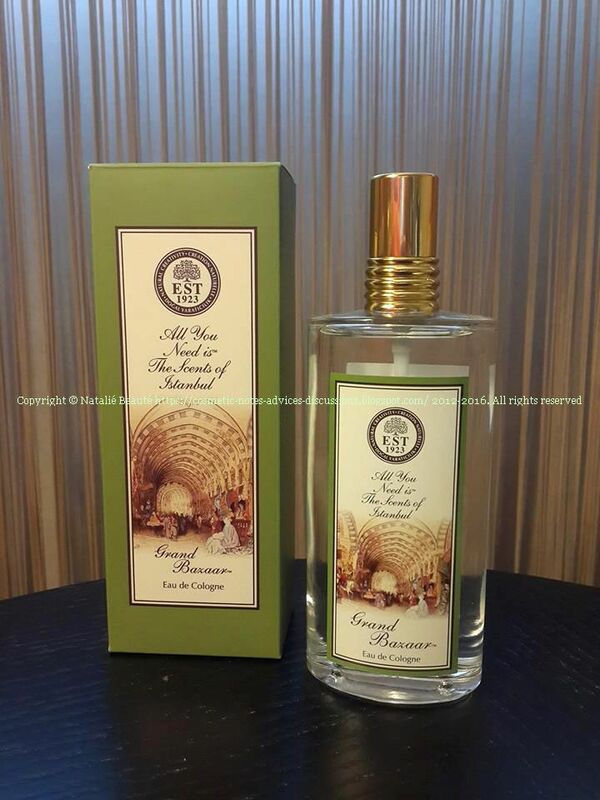 Main notes are powdery scent of Jasmine Blossoms and Patchouli. 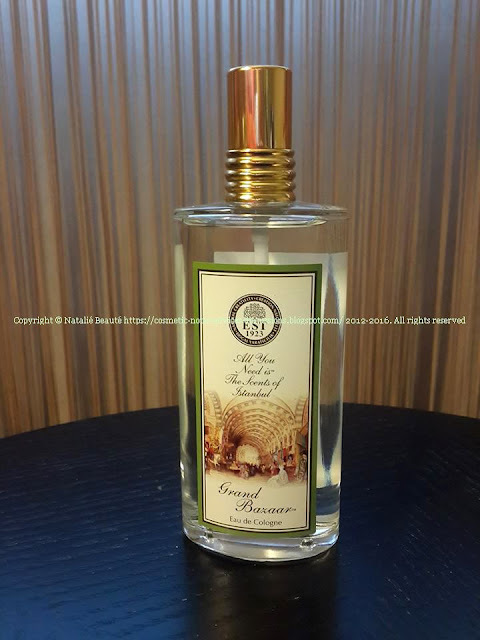 Overall, the scent is sweet, but this sweetness has some scratchy notes, which are making interesting contrast with the Jasmine, so we can feel much better the blossoms hypnotic sweetness. 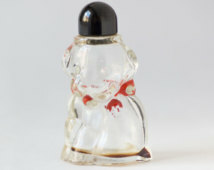 This EDC reminds me one lovely small children perfume, from more than 25-30 years ago, which was brought from Russia. 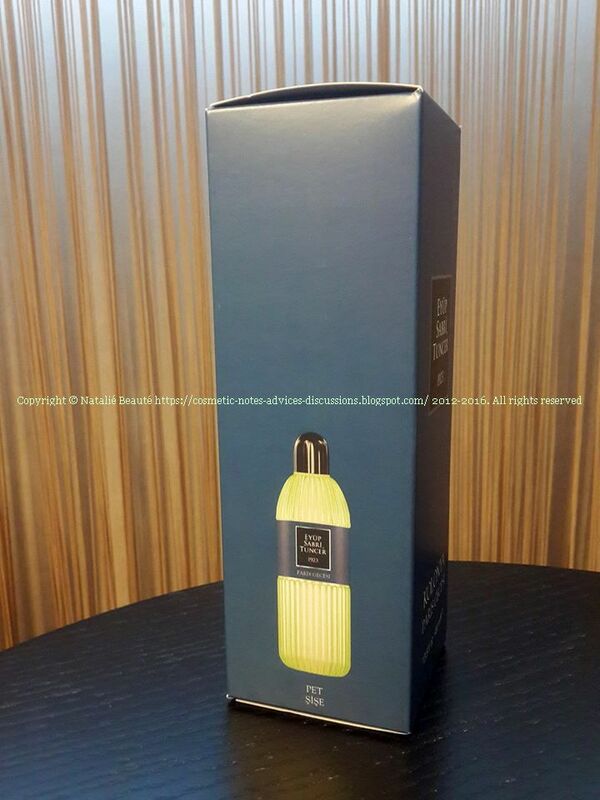 It had glass bottle, shaped as Dog and the concentration had the same scent. 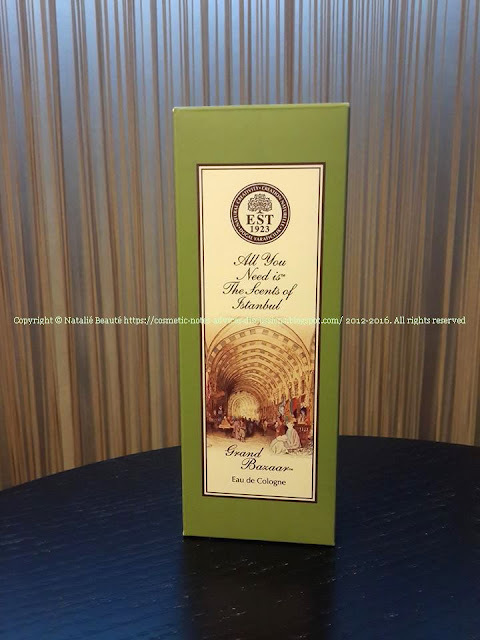 It was really lovely. 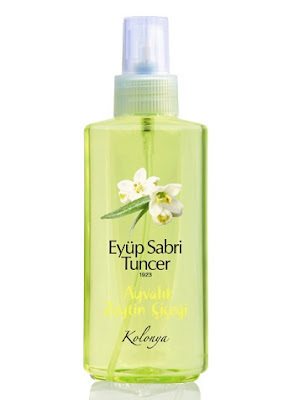 EDC, 70 C degree, 150 ml, plastic spray bottle. The scent is powerful and longlasting. Very beautiful fragrance, it reminds one of the popular expensive male Perfumes. Just wonderful! With the first splash, it smells like very fresh Pine forest. 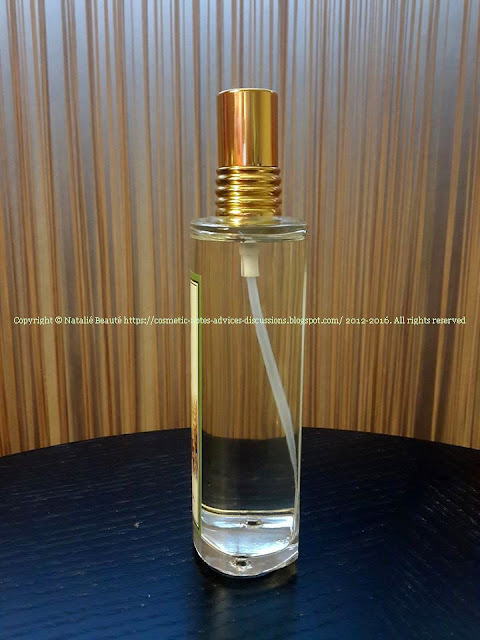 Nowadays, we are living in times, when the majority of the perfumes are containing many artificial or absolutely replaced natural ingredients with artificial chemical equivalents. 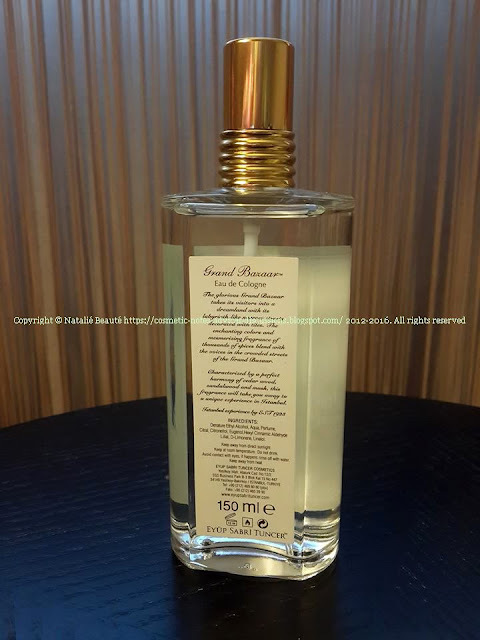 That's why, this makes difficult, almost impossible (especially for the youngest generations), to be able to truly appreciate the scent, the art, the soul of a Perfume, created from raw, natural oils and ingredients. 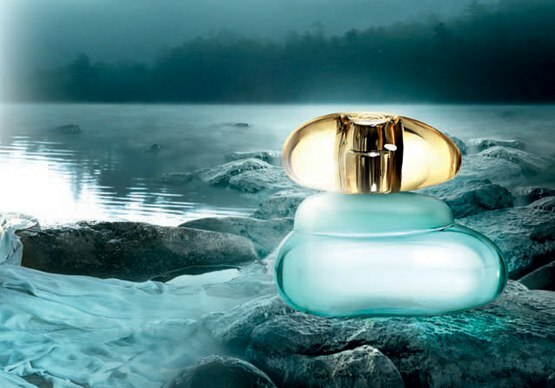 The Soul of such scent has depth, vibration, message. Some of these scents are being called "grandma's perfume" or sorts of "old perfume", very often with some attitude of underestimation. Actually, these labels are compliments, enigma of "natural perfume", "natural scent", real perfume composition. 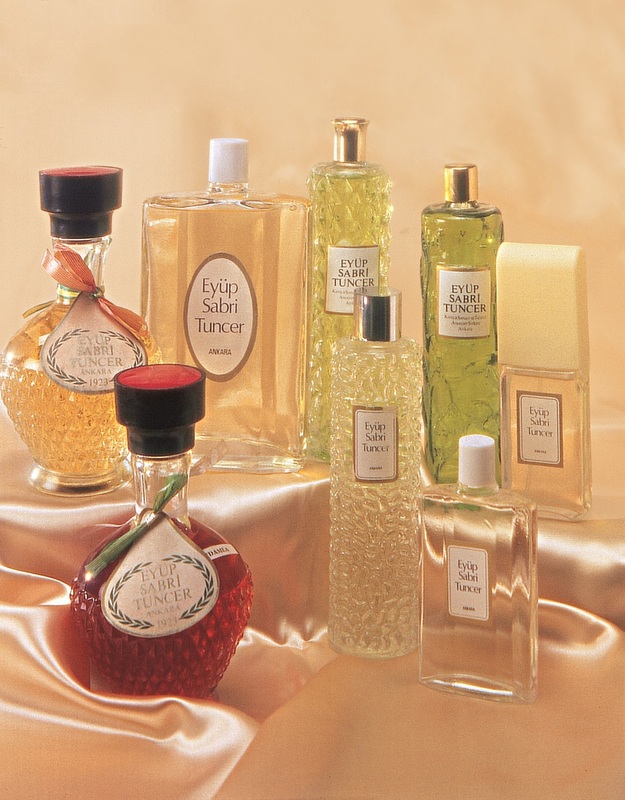 We should learn to make clear distinction, between "modern" (very often, containing artificial replacements of the natural oils, as I already mentioned above) and "old" perfume (containing raw ingredients and natural perfume oils). Each one of them has its own message, enigmatic and the same time symbol of one decade. 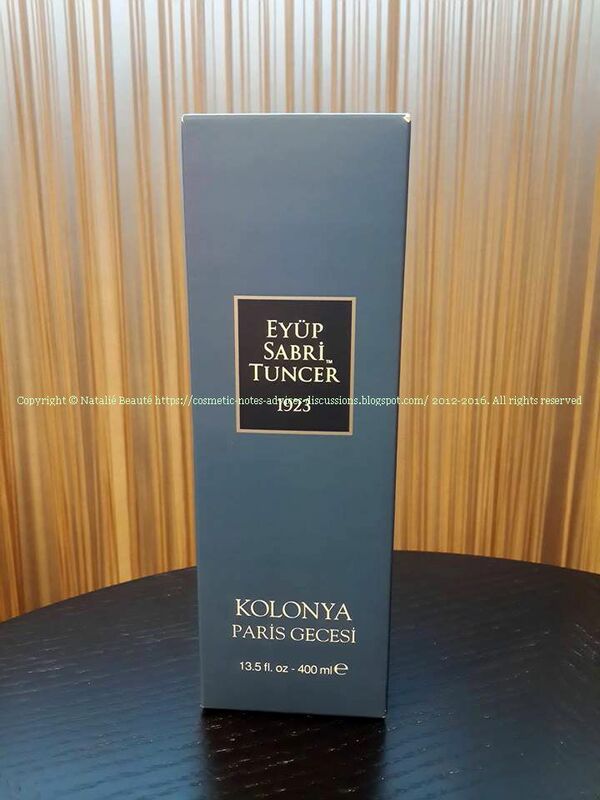 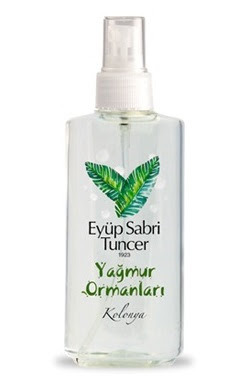 The colognes of EYUP SABRI TUNCER are symbol of one country. 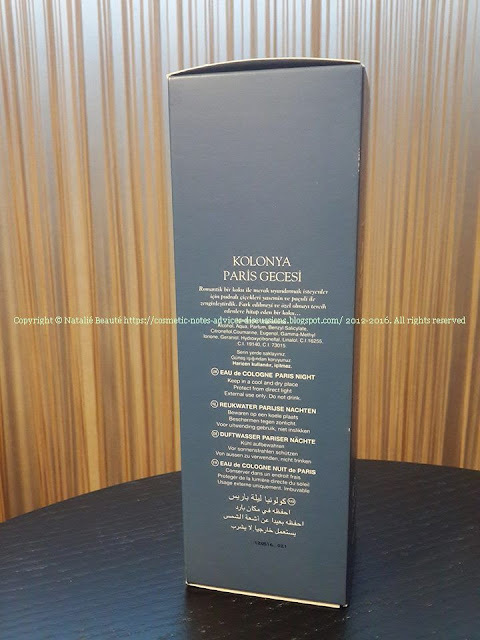 They represent large compilation from single, but also rich "multi-ingredient" compositions, related thematically with different geographic areas or historic topics. Definitely, they deserve your attention and respect!